Beijing just won a bid to host the 2022 Winter Olympics, making it the first city in the world to host both summer and winter Olympics. Considering Beijing does not get much snow, it is likely to be a challenge to pull off. Yangquing, where the ski competitions are planned be held, has an average snow base depth of one centimeter. China has been involved in another set of Olympic Games of late, and that is in trying to control the volatility of its stock market and at the same time, devalue its currency versus other global currencies. Typically countries devalue their currencies when they become overwhelmed with debt. Had Greece still used the Drachma instead of the Euro, a large devaluation would have occurred naturally given their debt levels, reducing lifestyles but also reducing the debt overall. Greece's debt is in Euros and therefore can't be reduced naturally, and this is why the debt problems there are so intractable. China does not have a debt problem like Greece; their problem is a rapidly slowing economy. China has just massively devalued its currency, through market forces and through government intervention. 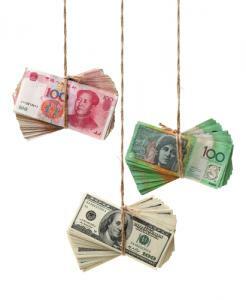 In the past, China kept its currency artificially cheap and until 2005, they pegged the yuan to the US Dollar. Since then, the yuan has been pegged to a basket of currencies and the exchange rate fluctuates, but it is still actively managed by the central bank. The strong US economy (and the strong US dollar) versus the weak Chinese economy are already exerting downward pressure on the yuan. So why would the Chinese government do more? The weaker currency basically puts Chinese goods on sale, so if the currency falls 4% to 5% as it did over the past couple of weeks, it serves as a 4% to 5% price reduction on the goods and services that China exports to the US and other countries. Currency devaluations can be inflationary internally, but most countries (China included) would prefer that inflation were higher (it is around 1.6% currently). China has invested heavily in housing, infrastructure and industry and has a glut of almost everything. While economic growth is still strong by US or European standards (6% to 7% a year), it is not enough to create jobs for some 7mm new college graduates per year. Without enough jobs for a rapidly advancing society in terms of education and skills, social unrest can result. The slowdown in the traditional Chinese economic drivers, exports and heavy industry, is naturally driving the economy towards more consumer driven and lighter manufacturing, signs of a more mature, more diverse economy. The reversion to weakening the currency may indicate that China's leadership is nervous about the efficacy of the new strategy and is reverting back to familiar tactics to try to control the markets and grow its economy. This is why the Chinese stock market has been fluctuating more than 8% daily and has experienced a precipitous drop in the past month. Last week, the drop in Chinese stocks bled into US markets and stock prices have been pummeled. The Dow Jones Industrial Average has dropped over 1,600 points in the last 4 trading sessions, and although the market spent most of yesterday in positive territory, prices fell 200 points by the close as market players didn't want to be invested overnight. What does it mean for American consumers? It means Chinese-made goods will be cheaper, it also means US exporters, already struggling with the strength of the dollar, will be negatively impacted. Investors' 401Ks are feeling real pain at this point. A cheap yuan strengthens the case for the Fed to keep interest rates low in the US. The Federal Reserve is most interested in the growing strength of the US economy and also wants to get interest rates above zero, but this recent volatility probably takes a rate increase off the table for September and maybe even for the rest of 2015. The Fed will be watching carefully to see if this is a short term lurch, or if the downturn in stock and commodity prices continues. There won't be any medals awarded in the Chinese Currency Olympics, but we expect there will be plenty of volatility affecting markets everywhere for some time. Hang on tight! Wild volatility as stocks spent most of the day with the Dow up around 350, but ended down more than 200. Treasury yields rose 5 to 7bps. Durable goods and capital goods orders, but attention will remain on the foreign markets. Pew research finds 36% of smartphone owners use mobile apps. Intuit said it will divest certain platforms including Quicken (as well as Demandforce and QuickBase) as it refocuses efforts on other parts of its business. The company said it plans to focus more on being an operating system for small businesses and doing taxes. Community bankers should take note that Bank of America has been hit with an enforcement action to clean up deficiencies in its flood disaster programs. Clearly exam teams are still focused in this area so forewarned is forearmed. You may find it interesting to know that the net interest margin of some of the largest banks as of Q2 (from lowest to highest) was: JP Morgan (2.09%); Bank of America (2.37%); Wells Fargo (2.97%); Citi (2.95%) and US Bank (3.03%). Of note, on a YOY basis, only Bank of America and Citi have been able to increase their NIMs (up +7% and +3%, respectively), while JP Morgan, Wells Fargo and US Bank have all seen theirs decline (-5%, -6%, and -7%, respectively). Federal investigators have indicted bank employees working at Wells Fargo, SunTrust and PNC in GA for filing more than 2,000 fraudulent tax returns for more than $2mm in refunds. The three reportedly worked together to deposit fraudulently obtained tax refunds into false bank accounts and then used the accounts to buy money orders that were subsequently used at check cashing businesses to steal the money.